1. 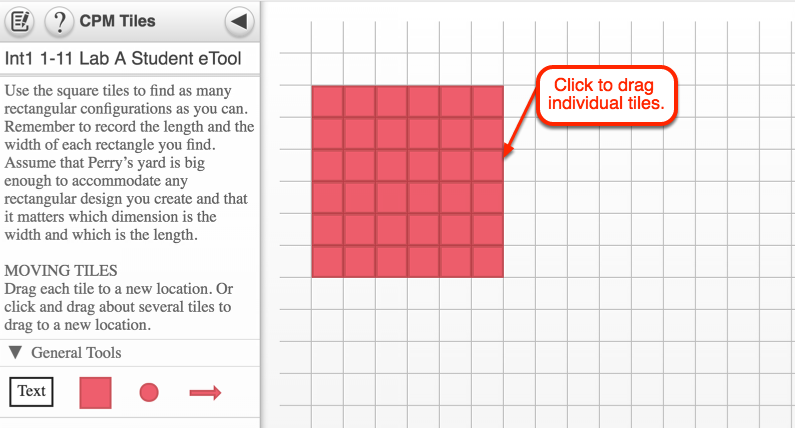 Drag to build rectangular shapes recording the length and width. 2. 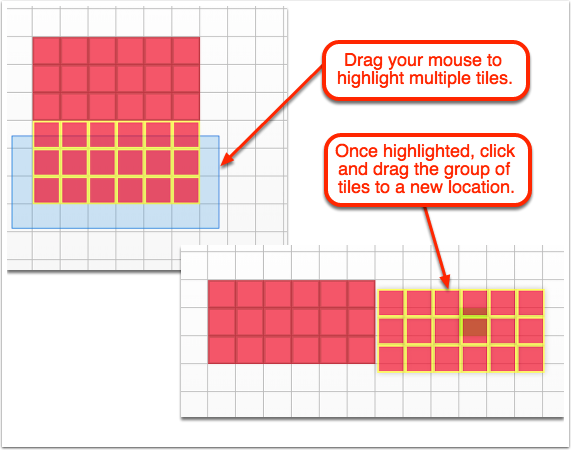 Drag several tiles at once.